Sgt. 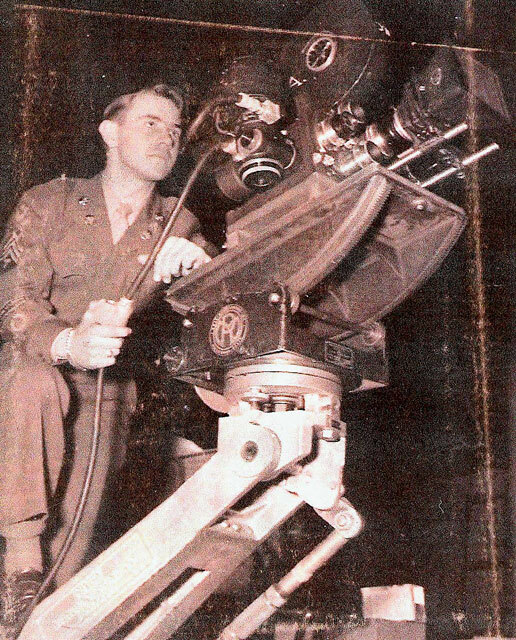 Charles W. Berry served at Signal Corps Photographic Center with George Kotuby from December 1946 to October 1948 when they were moved to Ft. Monmouth. 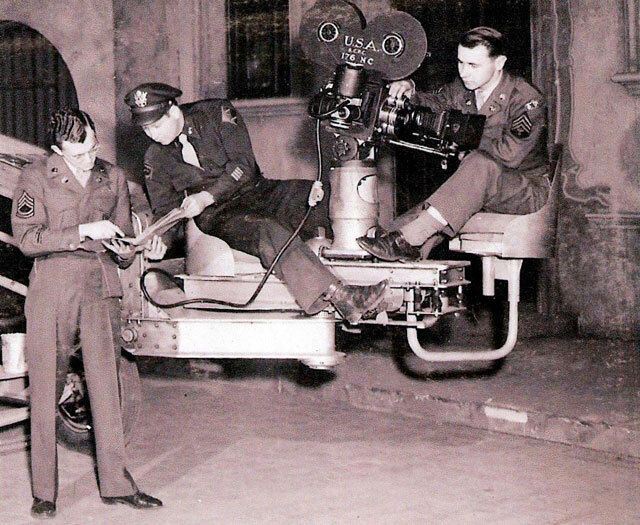 The photo above shows Chuck in the operators seat of a camera dolly. Sgt Kepler, Senior Instructor of the Movie School, Lt. Elk, Officer in Charge of the Movie School and Chuck. Posted May 8, 2008; updated March 8, 2019.